Bees are kind of my thing, so it's no surprise that today's 'Things I Love' is full of the little buzzing critters. Recently I received international mail from the lovely Kim at What Peggy Said and it contained the most adorable beehive necklace! She knows the way to my heart, I've been wearing it non-stop and it inspired today's post! It was so hard to chose some of my favorite bee related items but I managed to narrow it down to these few things! I am especially in love with that skirt, I could see myself wearing that on so many occasions! So many explanation points, can you tell I'm excited? 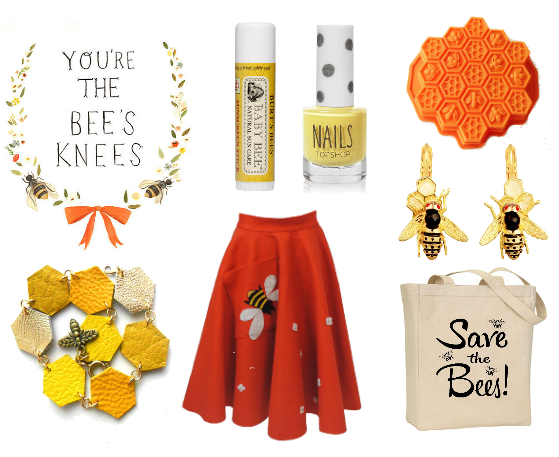 Bee's Knees Print // Burt's Bees Baby Bee sunscreen stick // Nails By Topshop in Bee's Knees // Bee and Honeycomb cake mold // Leather Honey Bee bracelet // Bee circle skirt // Bumble bee stud earrings // Save the Bees tote. // These fun facts all about bees, like did you know that honey bees have five eyes? What the what? // This insanely adorable cross stitch pattern! It would be so cute it a kids room or my office! // This honey pot from ModCloth is super cool and perfect for afternoon tea with your honey bunny! // Check out these ten awesome ways to use honey in your food and on your skin. // These bee themed parties make me want to throw myself a bee themed bash! I hope you all have a bee-utiful Thursday! i can't bee-lieve how many bee-related pieces you've found! you've certainly bee-n buzz-y! Such cute stuff! I really love the print and the bracelet. All that bee stuff is so cute! 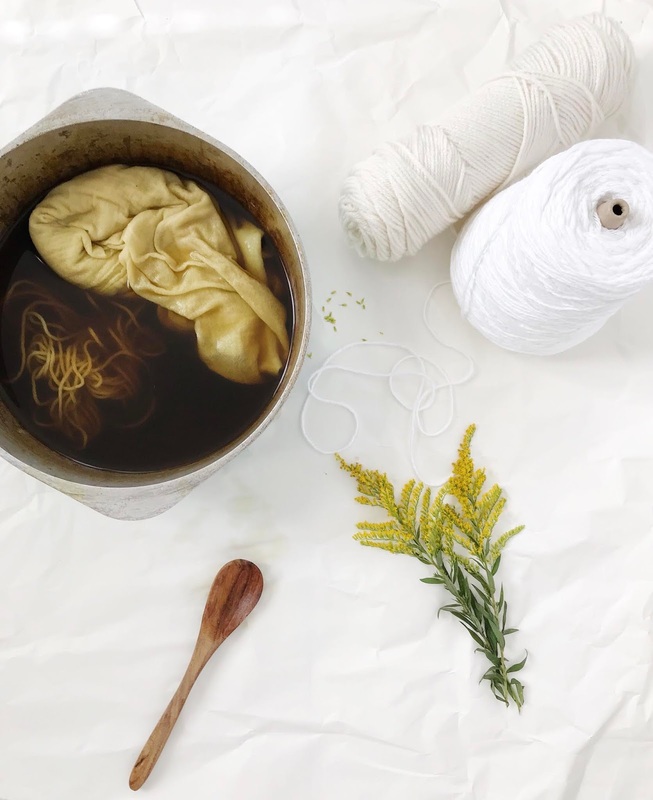 I'm actually terribly allergic to bee's so I do most (ALL) of my admiring from afar, but I am obsessed with honey and want to find a good way to use it on my face. I'm allergic as well but they are such fascinating creatures! Honey is so delicious! All of these items are so cute! Especially that skirt. Hope you have a great day. That is so darling! I love it! I love bees! ♥ I think they're really cute and I really like the yellow and black combo.